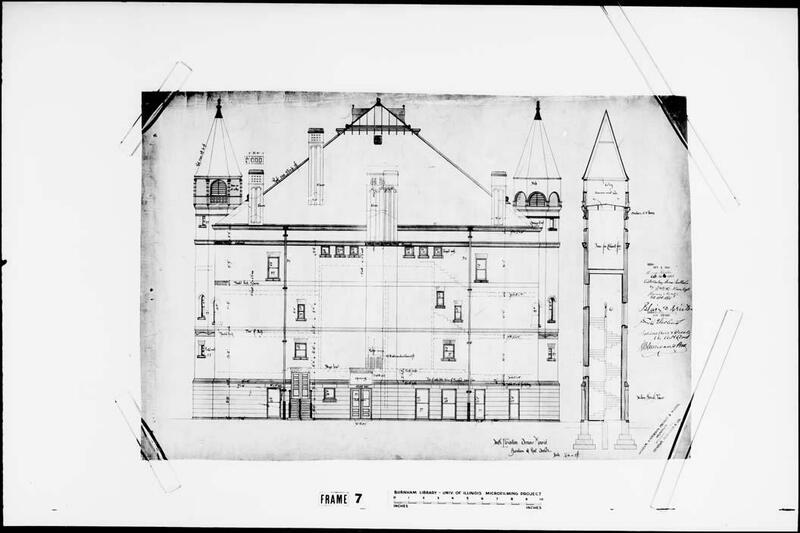 Image Notes South Elevation; building demolished 1962. Microfilm roll #3, frame #7. Provenance The drawings and hectograph originals and prints of the Armour Memorial Hall were microfilmed in March, 1951, from the original material loaned by Mr. Frank L. Davis, Chicago architectural historian.